THE RUSSIAN ARMY has said it was seeking to verify whether Islamic State chief Abu Bakr al-Baghdadi had been killed after its warplanes hit the group’s leaders in a night raid in Syria last month. The United States said it could not immediately confirm Baghdadi’s death. In a statement, the army said Sukhoi warplanes carried out a 10-minute strike early on 28 May at a location near Raqa, where IS leaders had gathered to plan a pullout by militants from the group’s stronghold. The US-led coalition said it could not immediately confirm Baghdadi’s death. “We cannot confirm these reports at this time,” said Operation Inherent Resolve US Army Colonel Ryan Dillon. The strike occurred from 21.35 to 21.45 GMT on 27 May following confirmation of the meeting by a drone. Those killed included the so-called emir of Raqa and the IS security chief, the Russian statement said. Russia informed the United States about the attack, the statement added. Elusive Iraqi-born Baghdadi is the world’s most-wanted man. The IS supremo has not been seen in public since proclaiming himself “caliph” in the Iraqi city of Mosul three years ago. His group has earned global notoriety for imposing a hardline form of Islam that has included stonings, beheadings and amputations. Its bastion of Raqa became a magnet for would-be jihadis from other countries. 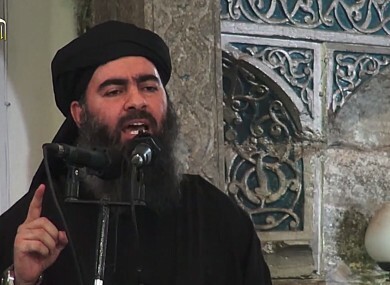 Baghdadi has been rumoured wounded or killed a number of times in the past. In March, US Secretary of State Rex Tillerson declared that Baghdadi’s death was imminent as “nearly all” of his deputies were dead and “it is only a matter of time” before the IS chief himself met the same fate. Russia in September 2015 launched a bombing campaign in Syria in support of Syrian President Bashar al-Assad. Its efforts against IS jihadists are separate from those of the US-led coalition, which supports Syrian rebels. The Russian military said earlier this month that on 29 May, its planes struck IS convoys attempting to leave Raqa from the south and heading toward Palmyra, killing 80 militants. On May 31, Russia struck IS contingents located near Palmyra, firing guided missiles from warships deployed off the Syrian coast. Russia has supported Syrian armed forces, which entered the province of Raqa June 6 and advanced since then in the west and southwest of the province. US-backed Syrian Democratic Forces have been pushing into Raqa on three fronts, last Tuesday breaking into the IS bastion from the east for the first time. Iraqi forces are meanwhile battling IS in Mosul, where the jihadists are confined to just a few neighbourhoods in the west of the city. The fighting in Raqa has caused alarm at the United Nations, whose investigators this week said civilian loss of life was “staggering” due to “excessive” air strikes. Email “Russia says that it may have killed the leader of Islamic State”. Feedback on “Russia says that it may have killed the leader of Islamic State”.